Carol, so good to see you in the garden today. Well, Dr. Hortfreud, it's good to be in the garden today, even it is just to walk around and look at the bare ground. It's nice that the snow has melted. Yes, indeed, Dr. H. 62 degrees Fahrenheit can melt a lot of snow. 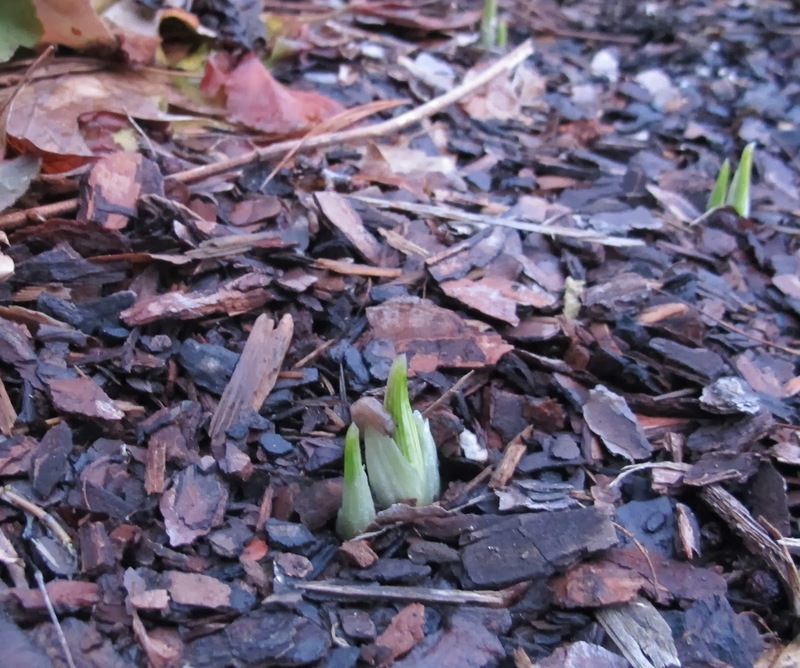 And look, there's a crocus sprout. I see that, Carol. Which reminds me that I wanted to ask you if you've ordered your seeds yet. Uh, well, no, not yet. Carol! What are you waiting for? This greatly concerns me. Do you know what seeds you want to order? Do you know who you want to order seeds from? Then, why haven't you ordered seeds yet? Do you think spring is going to wait for you to order seeds before it arrives? Well, with all that snow a few days ago, it sure seemed like winter was taking its time, so I thought I had time. But Carol, there's also a snowdrop coming up, right where you planted it. Gosh, I see that Dr. Hortfreud. It's exciting. Carol, you need to order your seeds. Please promise me you'll order them, or go buy them, before our next session. I don't want you to miss out on the varieties you always buy. Plus you need your pea seeds to plant on March 17th. I promise, Dr. Hortfreud. I'll order those seeds this weekend. Thank you. Then we can have a session when you sow the seeds of tomatoes indoors in a few weeks. I'd like that, Dr. Hortfreud, and thank you for all of your help. And St Patrick's Day isn't so very far off....get those pea seeds! And I thought I was the procrastinator! I've already received two seed orders, and the third one should arrive any day. 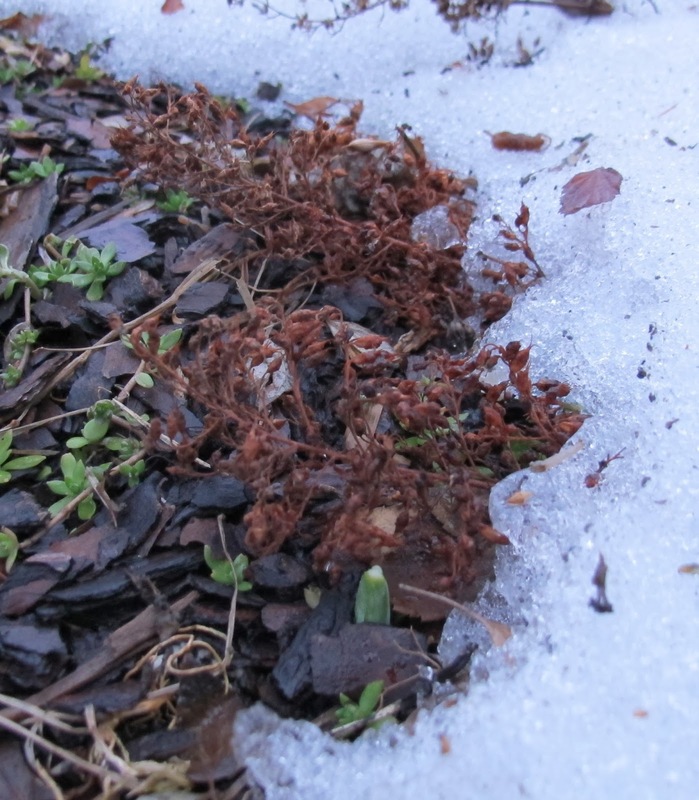 But I'll confess I ordered some seeds that I like to scatter now over the snow, like larkspur and poppies, so I had to get it done early. Sheesh, I can't believe I'm saying this, but I sure hope there's still a little snow out there so I can plant them.